Take action today and every day! The dramatic increase in border militarization in the recent Senate immigration bill was shocking and must be defeated in any form of immigration reform. And we must stand in solidarity with our border communities against the militarization of the border that is already in place, and responsible for undermining human rights, contributing to migrant deaths, and sabotaging the social and economic vitality of an entire region. Despite the exposure of migrant deaths due to a restrictive immigrative system and overwhelming border enforcement, despite the fact that walls don't stop the force of migration--political and economic forces have continued to drive this failed and tragic policy. The fact that defense contractors and other corporate interests lobbied for more border enforcement and stand to profit from the more than $46 billion border enforcement budget should this provision become law, only adds to the urgent need to challenge and end this horrendous policy. 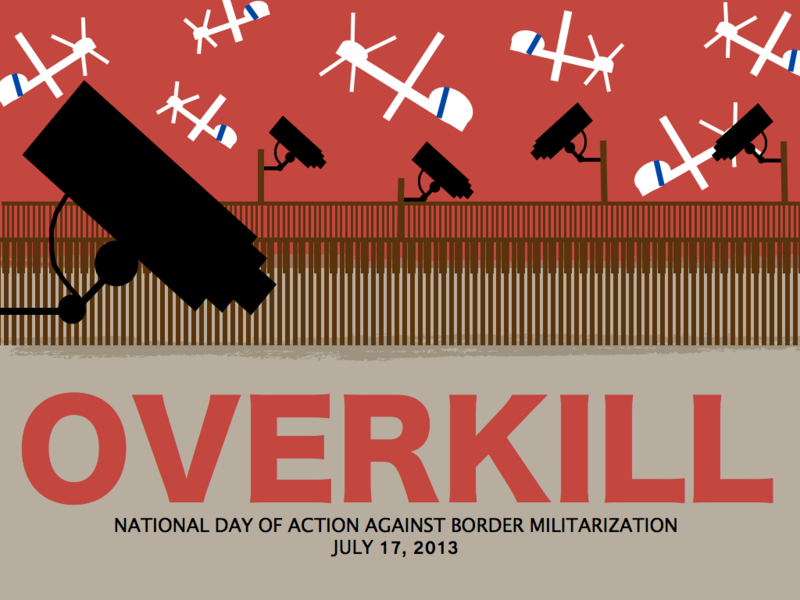 Support the National Day of Action Against Border Militarization! Human security, not national security! Fair and just immigration reform! Read our statement on the passage of S 744, the Senate immigration blll. An urgent request for your support: these are critical days and months for NNIRR and the immigrant rights movement. Please, help us to fight for fair and just immigration reform that respects rights and upholds human dignity. Thank you for your donation.